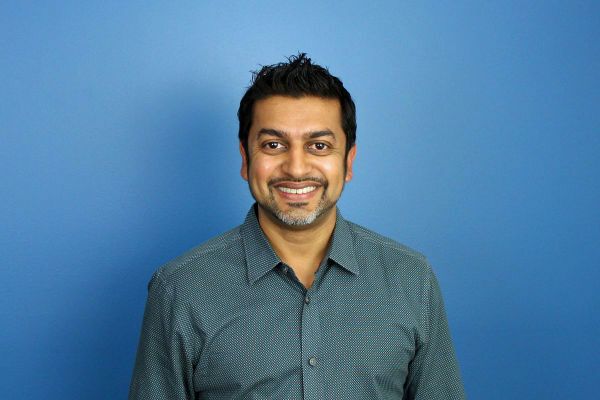 BrightWave, the leading email and eCRM agency, today announced that its President, Raj Choudhury, has been named the Marketer of the Year by the Atlanta Chapter of the American Marketing Association (AMA). He will be presented this prestigious honor at the AMY Awards in Atlanta this evening at its annual awards gala where the AMY Awards will recognize companies and individuals who’ve made their mark on the Atlanta marketing scene during the previous calendar year. Choudhury’s track record as a digital marketing star is widely recognized. He co-founded Spunlogic in 1998, leading it to become one of the largest privately held digital agencies in Atlanta. It was acquired in 2008 by Halyard Capital to form Engauge. That agency was acquired with its 275 employees in 2013 by Publicis Groupe and then merged internally with Moxie, creating the largest digital agency in the Southeast. In 2014, Raj was hired as a CEO for the award-winning social Ad Tech company BLiNQ Media, providing new vision and rebuilding its technology teams. Choudhury formally joined BrightWave as President in 2016, helping the company reach new heights in revenue, industry recognition and helping the company continue to develop and expand its end to end services within email and eCRM. BrightWave’s growth has exceeded 70% during this tenure. More recent highlights can be found here. BrightWave has been recognized as the leading independent email agency and ranked #1 for client satisfaction and platform expertise, according to industry analyst The Relevancy Group. 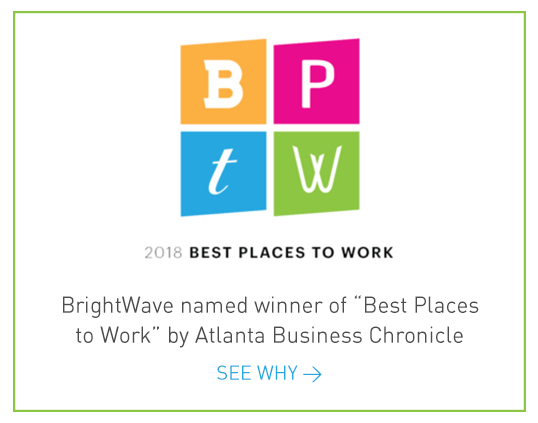 This award helps further strengthen BrightWave’s reputation as the preeminent email agency with a plethora of thought leaders driving client success and innovation as well as moving the industry forward. BrightWave is the leading email marketing agency. With over 15 years of experience managing the best email programs in the country, BrightWave elevates eCRM and cross-channel programs through industry-leading innovation, relationship orchestration and pioneering inbox experiences. Learn more at www.brightwave.com. BrightWave also is the creator of EiQ, the intelligent email gathering. This one-day event on April 19, 2018 is where the industry community convenes and focuses on innovation and business impact. For more information on the event, please visit www.eiqgathering.com. AMA Atlanta is the go-to source for marketing knowledge, events, resources and networking in Atlanta. At almost 1,000 members strong, we are the largest marketing organization in the city and the third largest AMA chapter nationwide. That means AMA Atlanta members have access not only to an incredible amount of local talent, but also to the international reach of the entire AMA organization. Our members include professionals across the spectrum of the discipline: research, non-profit, public relations, advertising, branding, direct marketing, interactive, creative, multicultural and so much more. For more information on AMA Atlanta, visit us at ama-atlanta.com.